How do you get MSc students interested in the research you are doing? How can you organize mutual learning in which the student gets a valuable learning experience in a larger project while the (early stage) researcher gets to supervise a thesis on an topic he/she is actually interested in? A first step is obviously to make students aware of the research that is being done at his/her department. To achieve this, the department of human geography organized a research day on the 17th of September. 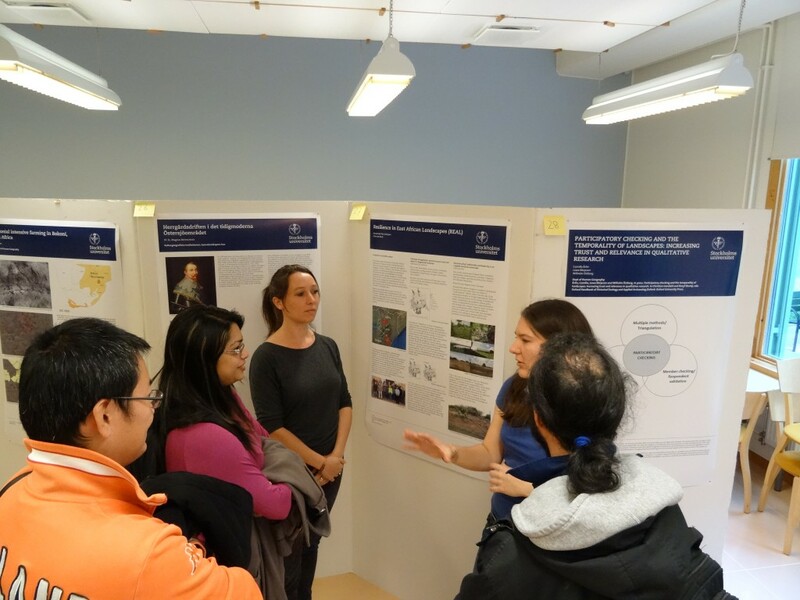 Researchers all presented a poster of one of their projects or research interests and students moved from room to room to find something they were interested in. There were more than 30 posters and about 40 students present. We of course presented the REAL project, as well as our individual research projects within it. It was a great opportunity to get to know the students of the department’s MSc programs and introduce them to the REAL project. We had interesting discussions with students interested to do similar work and tried to help them thinking about what kind of topics they could pursue for their own theses. All in all a great success and we hope that we will find ways to expand the scope of our research through collaborations with them!